Shortly after the Civil War, a small group of citizens in the Hillsboro community felt the need for a Methodist Church; although the exact date of the church cannot be established. 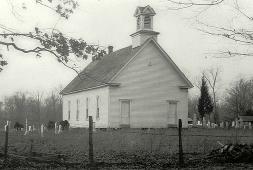 An old log house was used for church and school purposes for many years and was in use when early ministers Rev. W. H. Gilbert and E.G. Robertson preached the Hillsboro Circuit. During the pastorate of Rev. S. J. Shasteen, the Methodists in Hillsboro erected their first building. This was in 1888. This first building was a 48’ by 28’ wooden structure with only one room, valued at $950.according to then Trustees R.C. Phillips, W. Phillips and E. G. Robertson. This first building, with repairs and remodeling, remained in use until a brick building took its place in 1949. 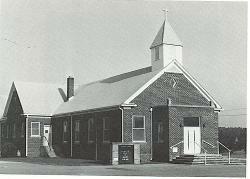 The 1949 building was renovated in 1997 which included addition of a new sanctuary. 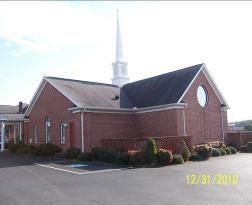 This facility serves as today’s church building.